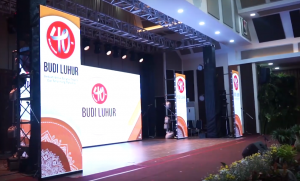 On April 10, 2019, the Universitas Budi Luhur and Akademi Sekretari Budi Luhur had held Graduation Ceremony for Masters, Bachelor and Associate Degree students at the Jakarta Convention Center (JCC) Senayan. 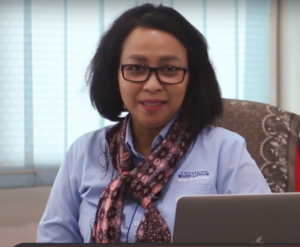 The University and Academy confirmed the number of graduates in the 2018/2019 first semester were as many as 753 Universitas Budi Luhur’s students and 12 Akademi Sekretari Budi Luhur’s students. 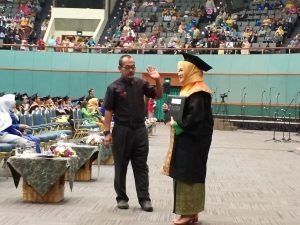 Ms. Fenti Sofiani, S.Pd., M.M as The Director and Mr. Achmad Syarif, S.T., M.Kom The Head of the Study Program gave their last tributes to all Akademi Sekretari Budi Luhur’s graduates by moving their graduation cap’s tassels throughout the graduates. 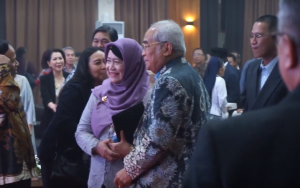 This activity was also attended by Mr. Prof. Dr. Ismunandar as The Director General of Learning and Student Affairs at Minister of Research, Technology and Higher Education, Ms. Sri Mastuti, S.Kom, M.Kom as The Head of the Academic and Student Affairs division representing LLDIKTI Region 3, Mr. Kasih Hanggoro, MBA as The Chairperson of Budi Luhur Cakti Education Foundation, Prof. Dr. Sc. Agr. Ir. Didik Sulistyanto as The Rector of Universitas Budi Luhur, and officials from the Universitas Budi Luhur and Akademi Sekretari Budi Luhur. Congratulations to all graduates of the the Universitas Budi Luhur and Akademi Sekretari Budi Luhur. 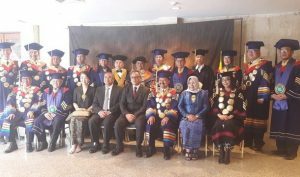 This is the beginning of the success of the graduates. Hopefully they will get knowledge useful for themselves and others and become smart and virtuous graduates. 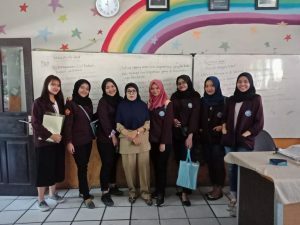 On April 1, 2019, the Akademi Sekretari Budi Luhur’s students carried out Community Service (PKM) activities at SDN Kreo 03 Tangerang. 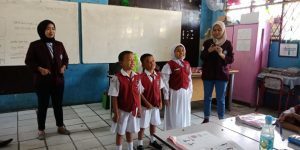 This activity was one of the programs of the Student of Akademi Sekretari Budi Luhur class 2019-2020. 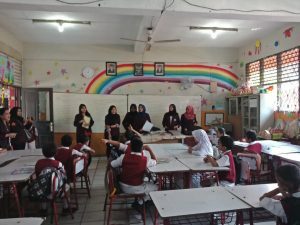 The instructors and speakers came from 15 students of the Akademi Sekretari Budi Luhur by dividing 3 groups of topics and materials. 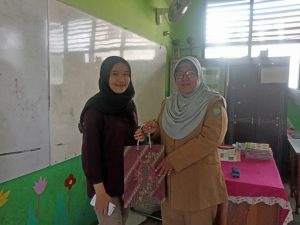 The materials were training office recycling equipment, training on the introduction of office equipment in English, and training in developing creativity in making time tables. 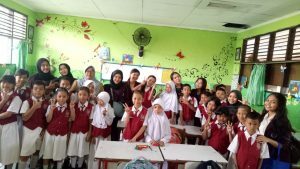 The PKM participants were students of SDN 03 Tangerang accompanied by a companion teacher namely Mrs. Hj. Maisuroh S.Pd, Rubiyana’s mother. R, S.Pd, and Mrs. Rita Ernawati S.Pd. This activity was carried out enthusiastically for the participants and they gave many questions to the speaker or instructor. 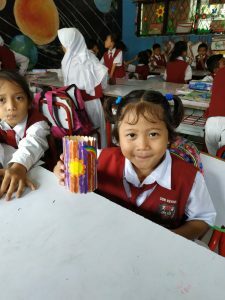 Students of Akademi Sekretari Budi Luhur provided simple material so that it is easy for students to understand. At the end of the training session, participants gave gifts for SDN’s students who could answer the questions. 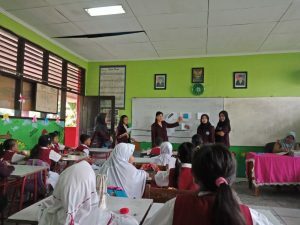 PKM activities facilitated the potential of Akademi Sekretari Budi Luhur students to study, develop, and apply the knowledge and technology that they have learned in lectures to the wider community in this case the students of SDN 03 Tangerang. 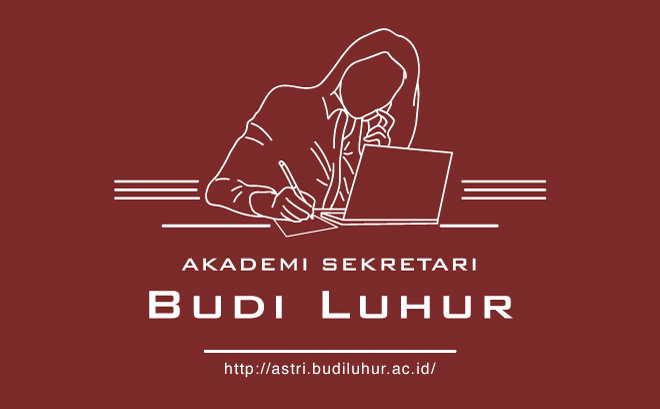 The benefits of this activity for students of Akademi Sekretari Budi Luhur are to give an opportunity to share their knowledge about the world of administration and secretaries, while for students of SDN 03 to get additional knowledge in the field of administration and secretary from an early age. 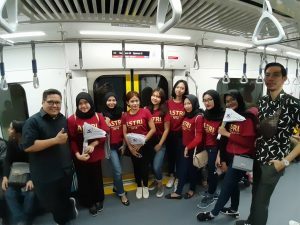 Saturday, March 16, 2019 in the morning, Akademi Sekretari Budi Luhur students together with DKKA Universitas Budi Luhur fulfilled the invitation of LLDIKTI Region III to take part in the MRT public transportation trial with the Ministry of Research, Technology and Higher Education, Prof.H. Mohamad Nasir, Ph.D. Accompanied by Dr. Arief Wibowo, S. Kom., M. Kom as the Director of DKKA Universitas Budi Luhur, this activity was attended by 8 students representing ORMAWA Senate and Student Association of Akademi Sekretari Budi Luhur, namely Aretha Aulia Sauzan, Widya Anggraeni Dian Saputri , Suci Ariesta Andyani, Radika Putri Kamaratih, Fitriani Dewi Mariska, Ayu Sekar Tanjung, Nadya Rachmadilla Putri, and Adellia Reihanny. 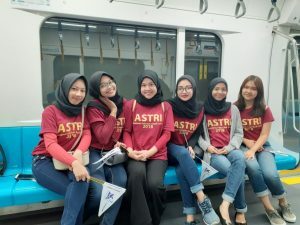 This event aimed to introduce new public transportation in the Jakarta area, especially the transportation of Integrated Mode of Transport (Mass Rapid Transportation). This trial starts at 07.00 am from the Hotel Indonesia Roundabout MRT Station (HI) to Lebak Bulus MRT Station. 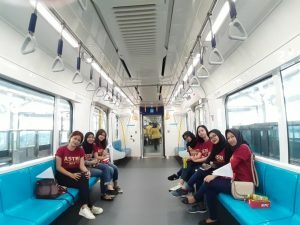 This type of transportation is a supporting facility for residents of Jakarta. All levels of society can use it comfortably friendly for the citizens of Jakarta in general and friendly to people with disabilities.